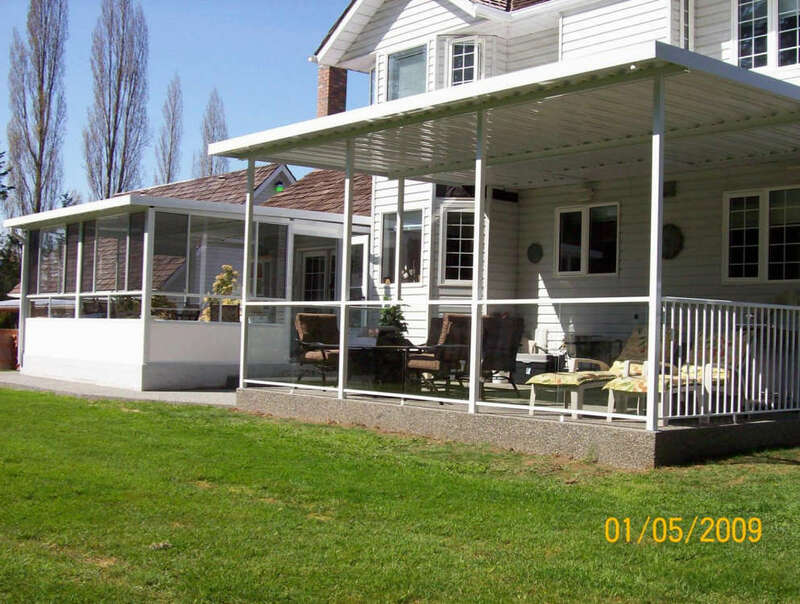 Create the feeling of a quiet retreat in your own back yard. 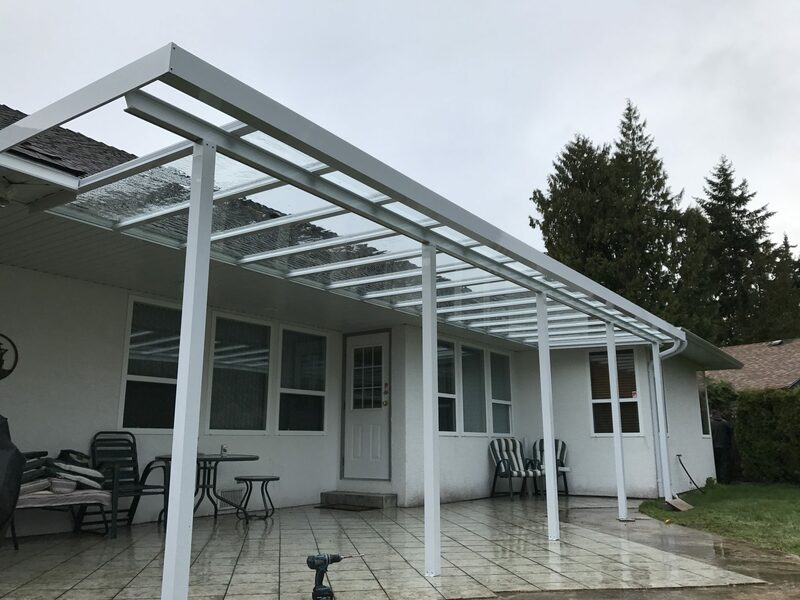 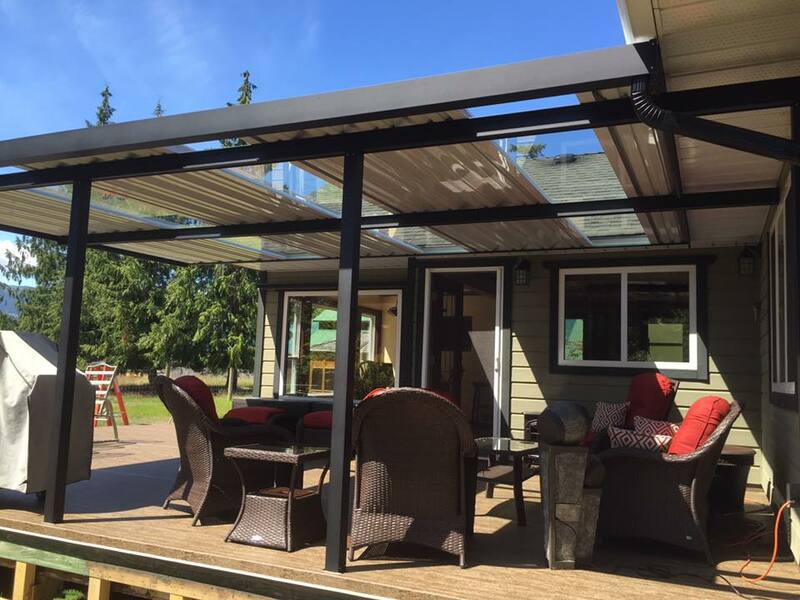 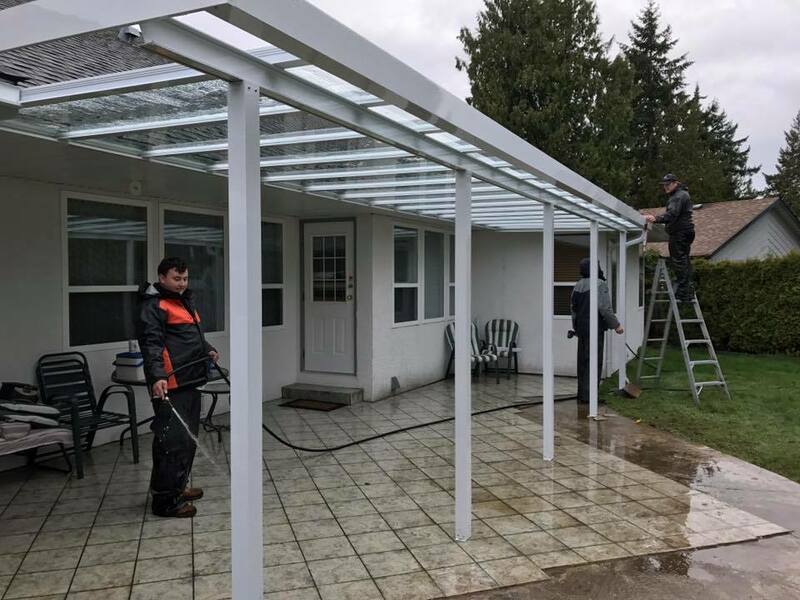 Our patio covers are custom-crafted to suit your home’s unique style and design and are a great way to enhance outdoor areas that may otherwise go unused. 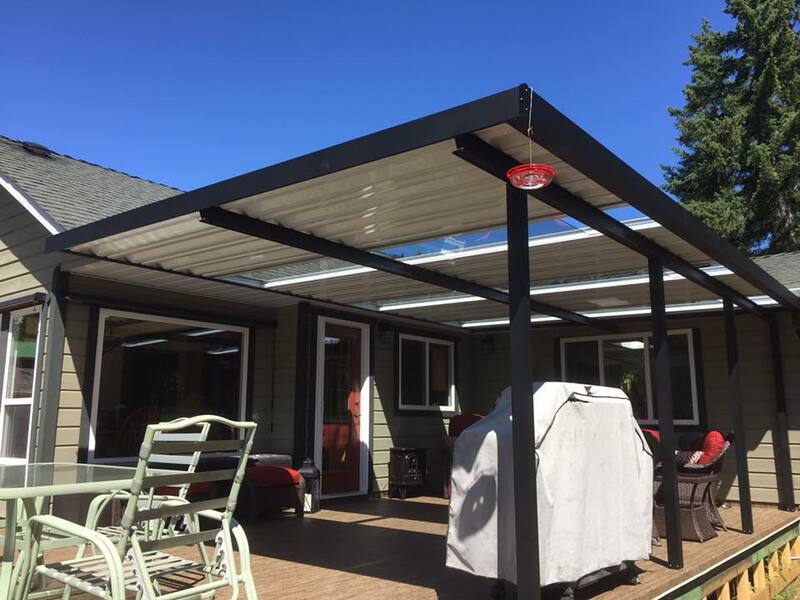 Patio covers offer year-round protection for your sundeck and patio furniture and offer an easy way to expand the living area and functionality of your house. 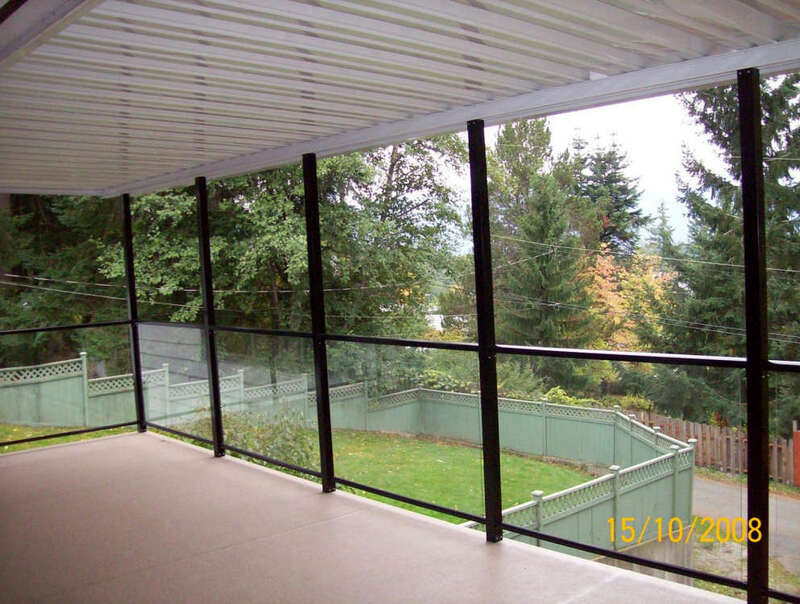 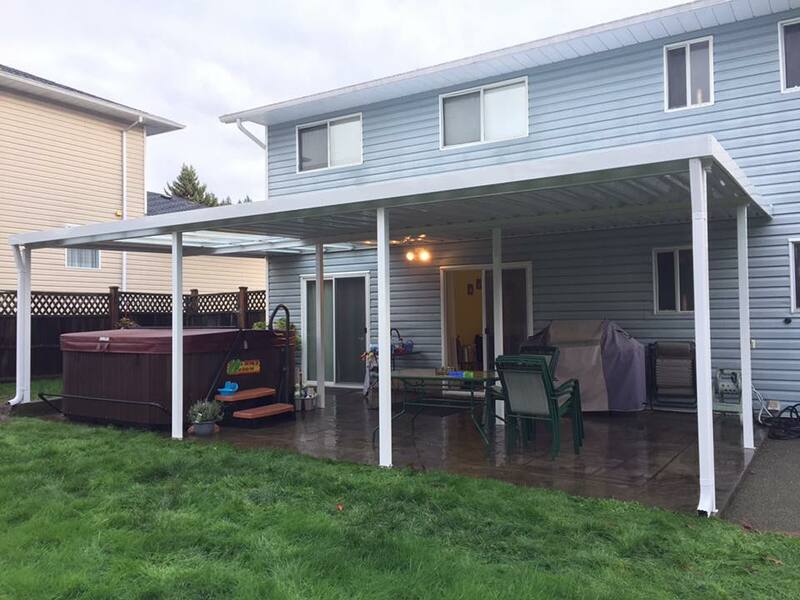 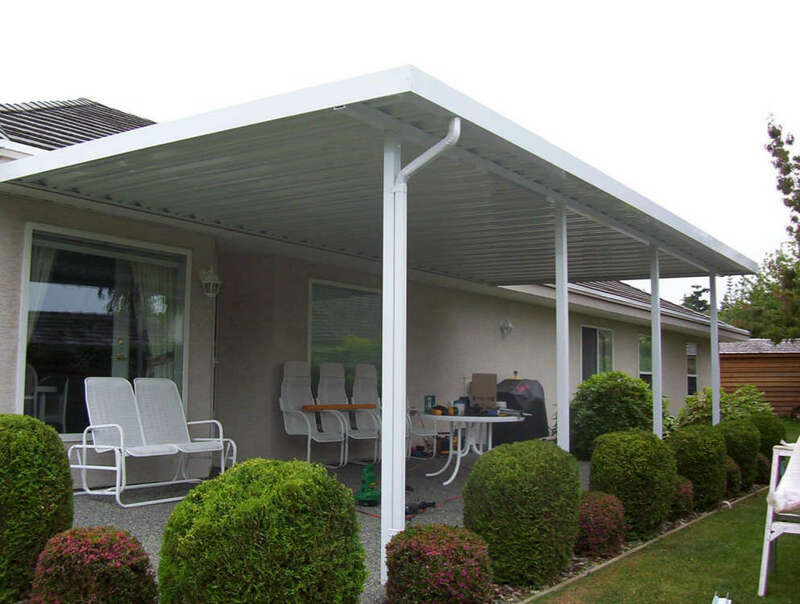 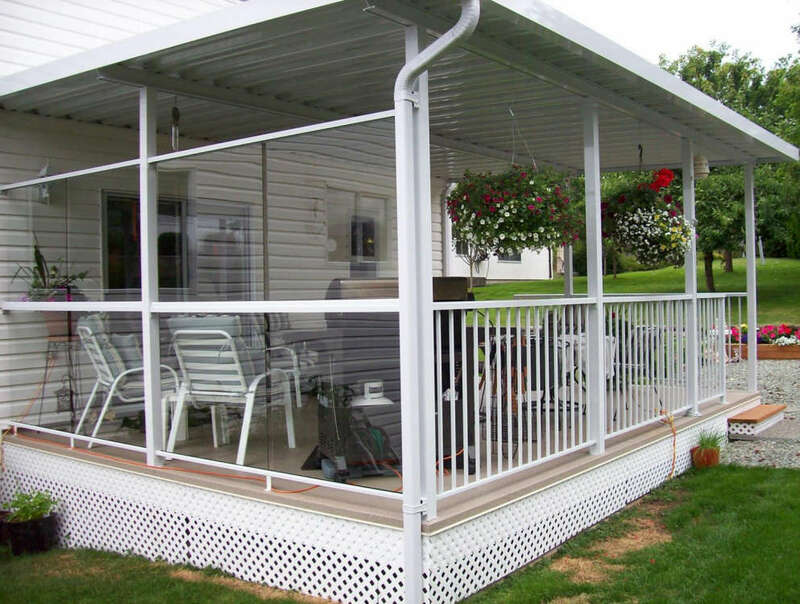 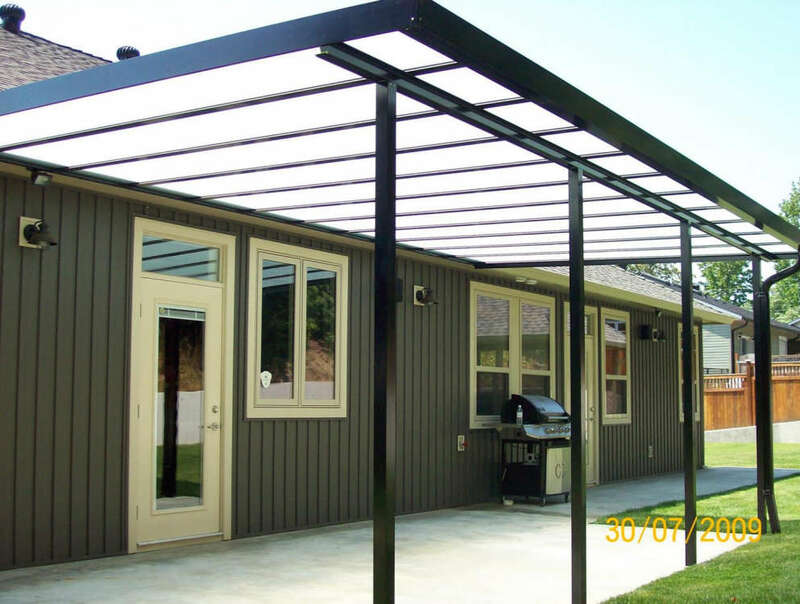 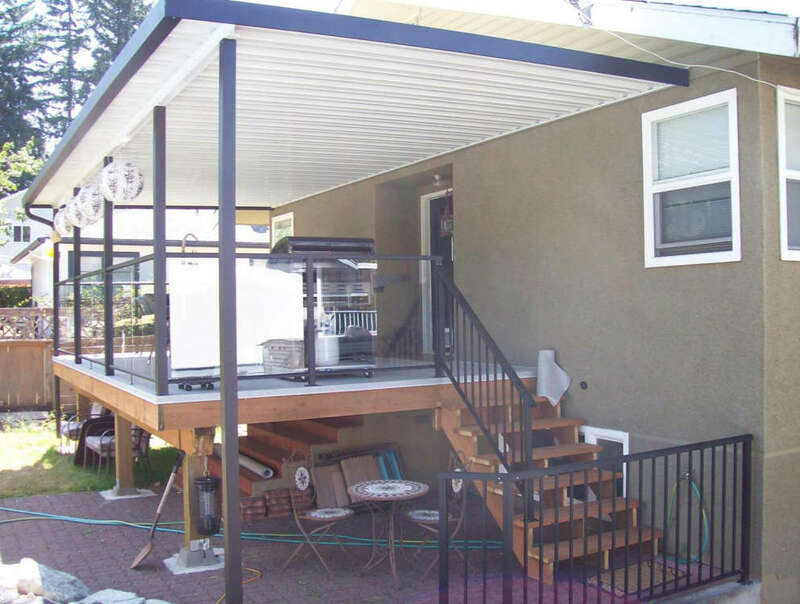 An aluminum patio cover gives small homes more space for hobbies or entertaining. 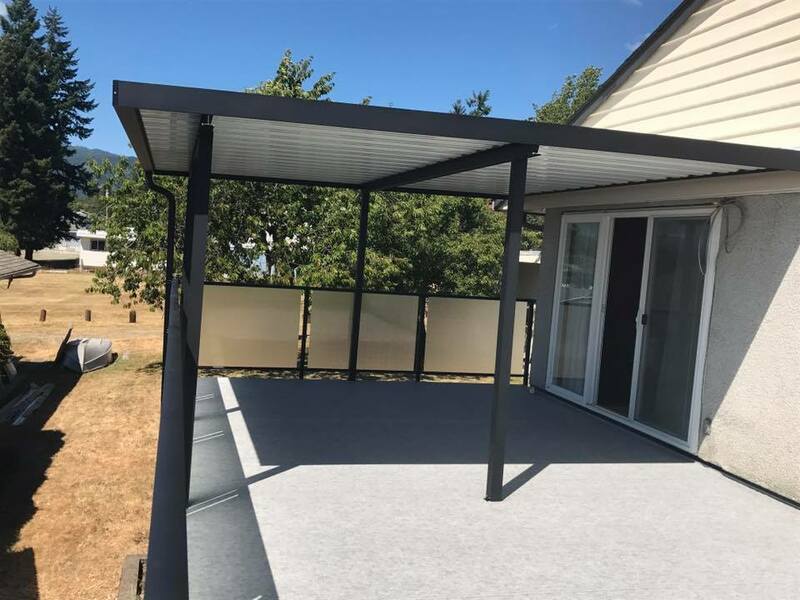 We can build your patio as an extension of your home, or a as a free-standing area for your outdoor hot tub or eating area. 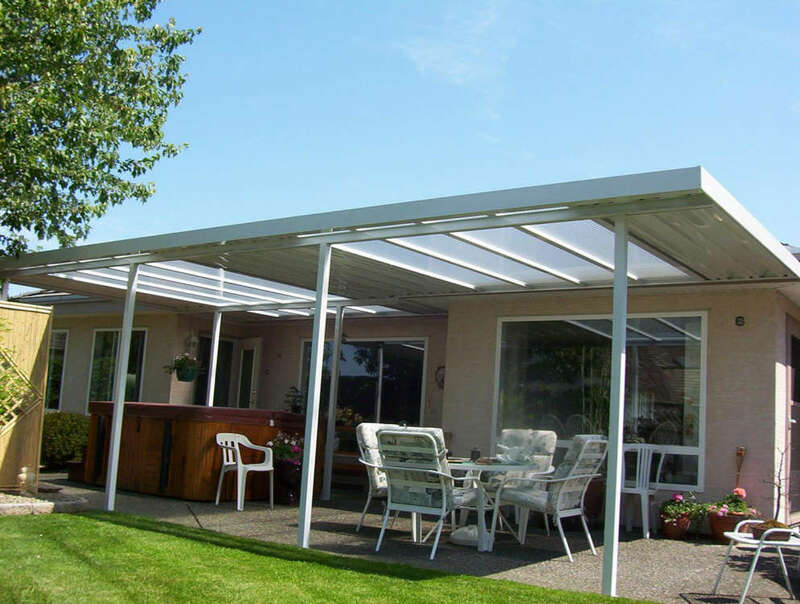 Your aluminum patio cover can include skylights to increase the lighting for larger areas. 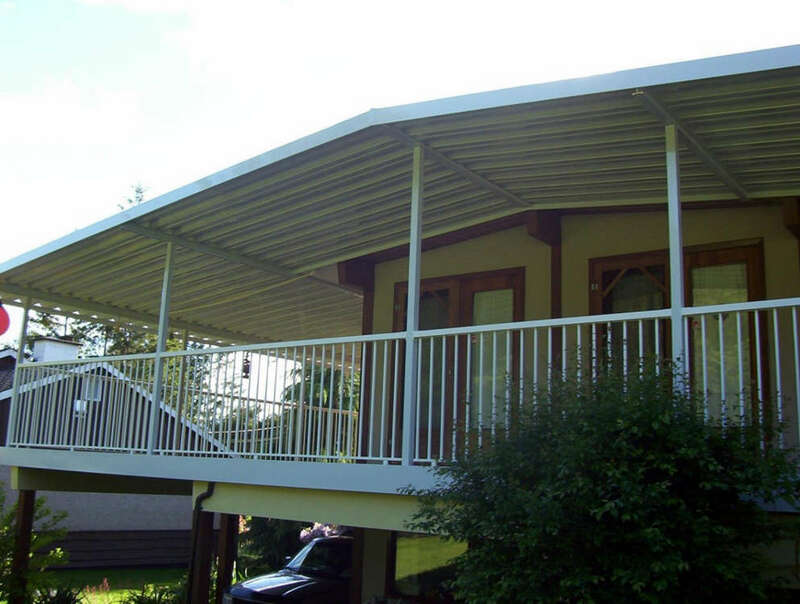 Choose from a variety of styles to match the style and colour of your existing siding. 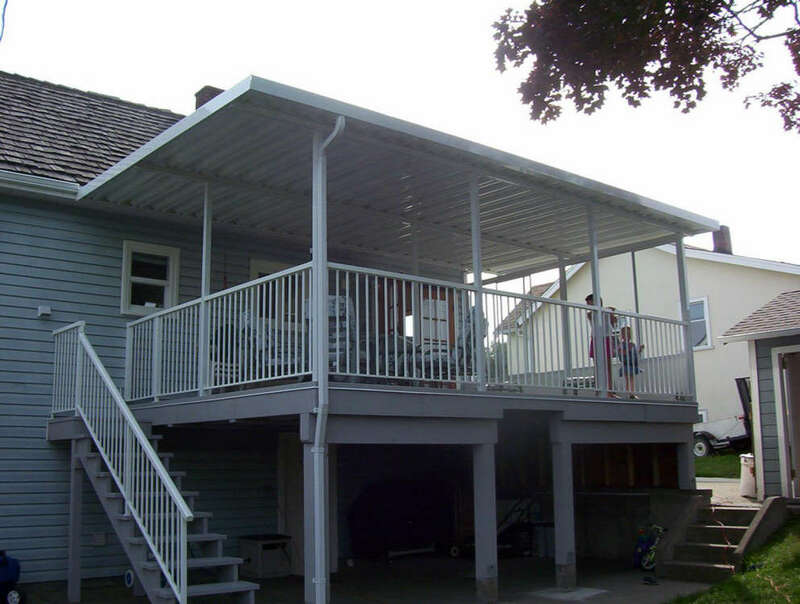 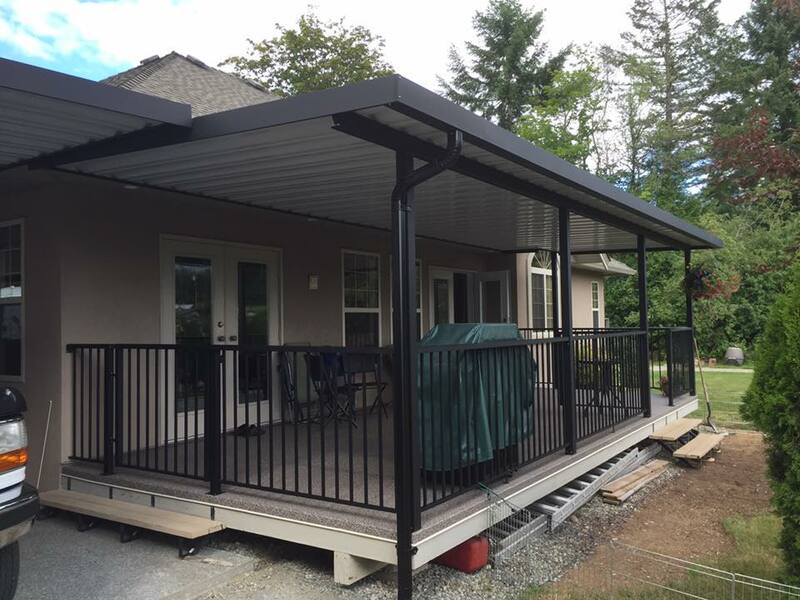 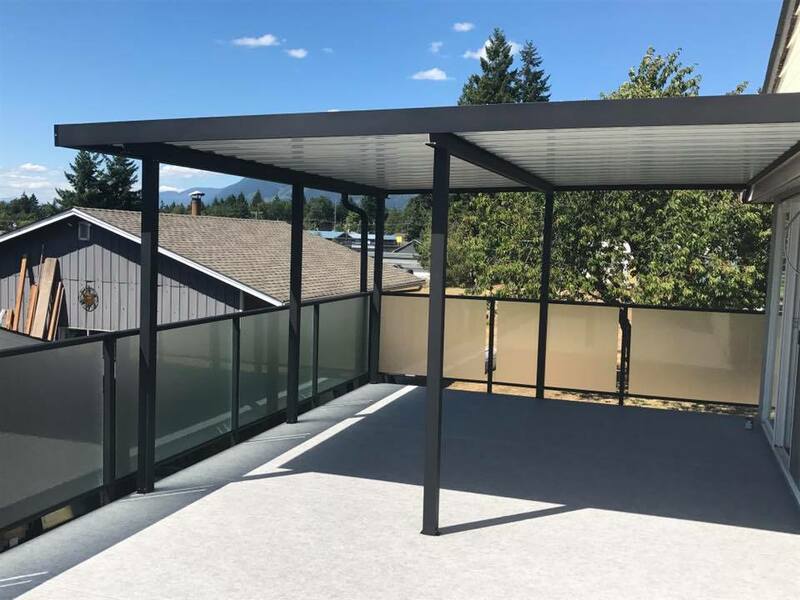 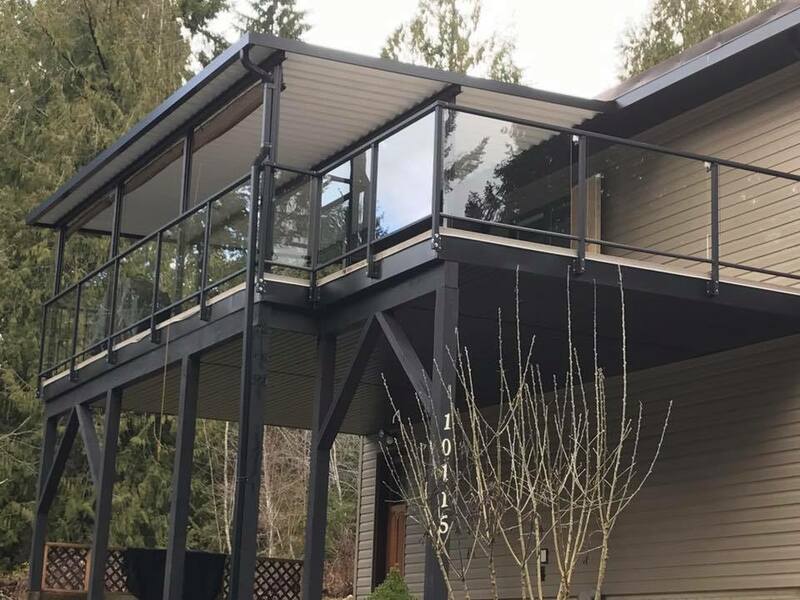 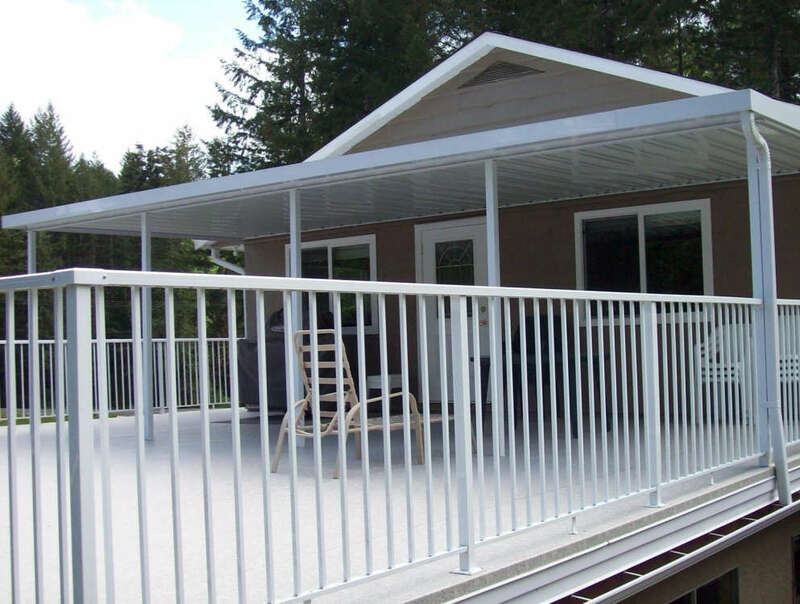 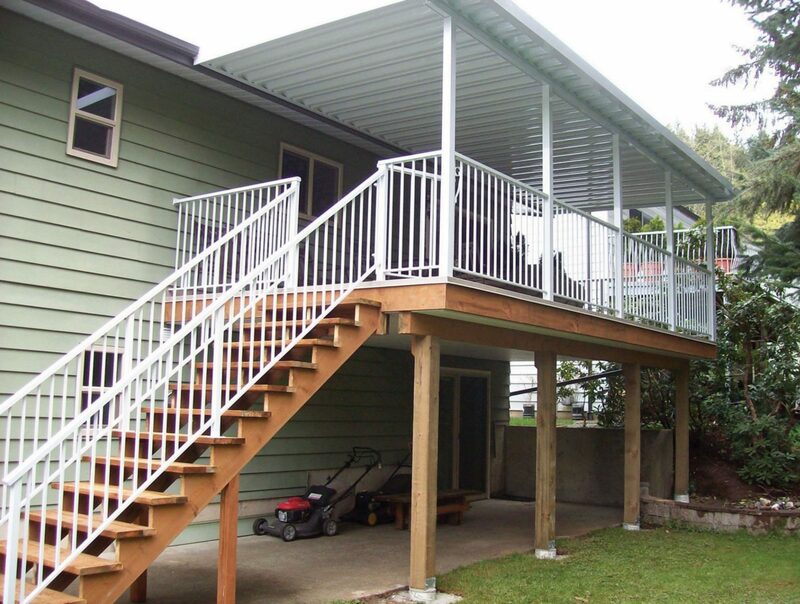 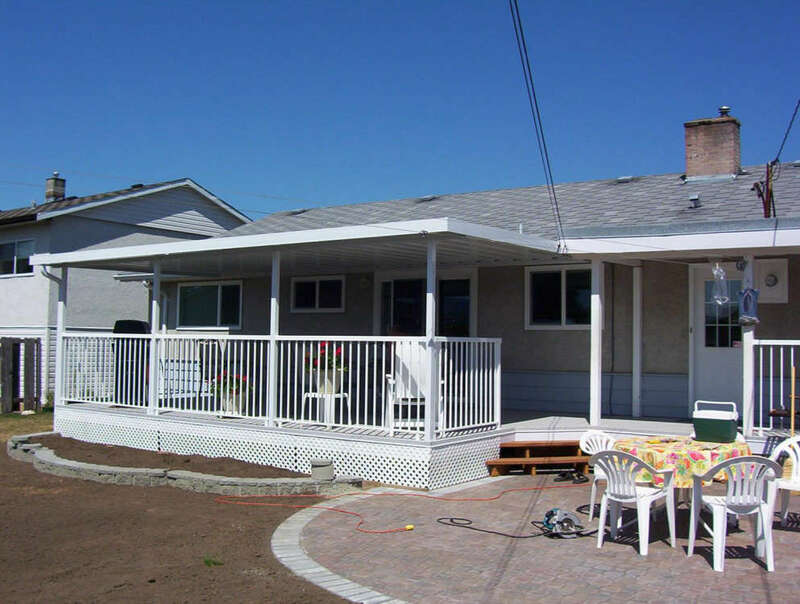 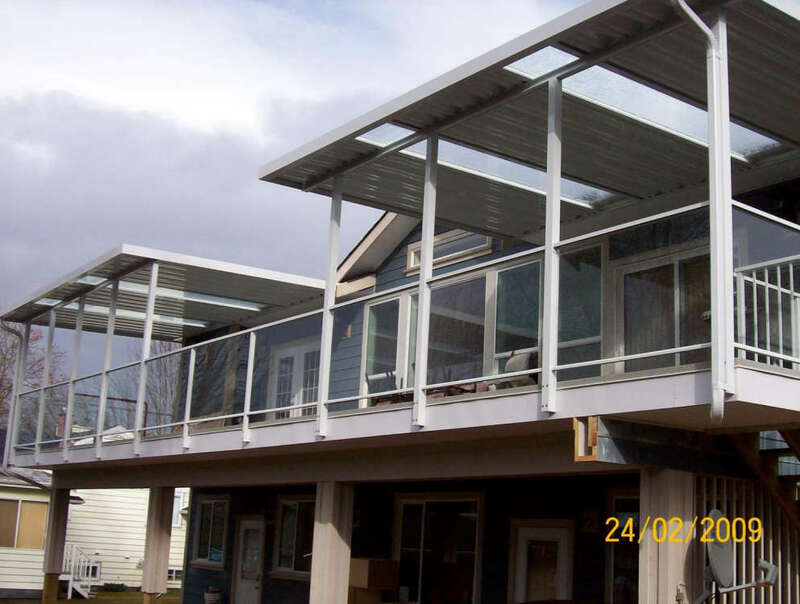 We also sell aluminum and glass deck railings, and vinyl deck covering, so we can look after your patio renovation project from start to finish. 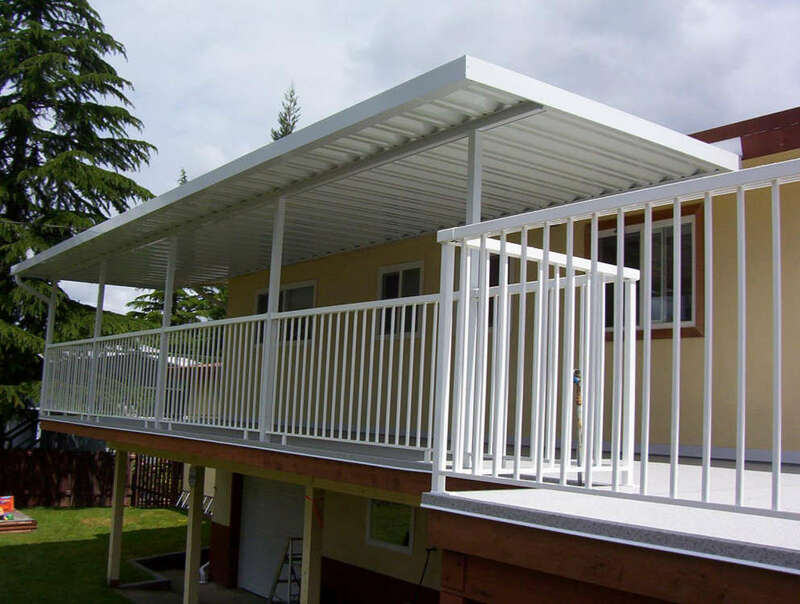 All our aluminum products are engineered & built to strict BC building codes. 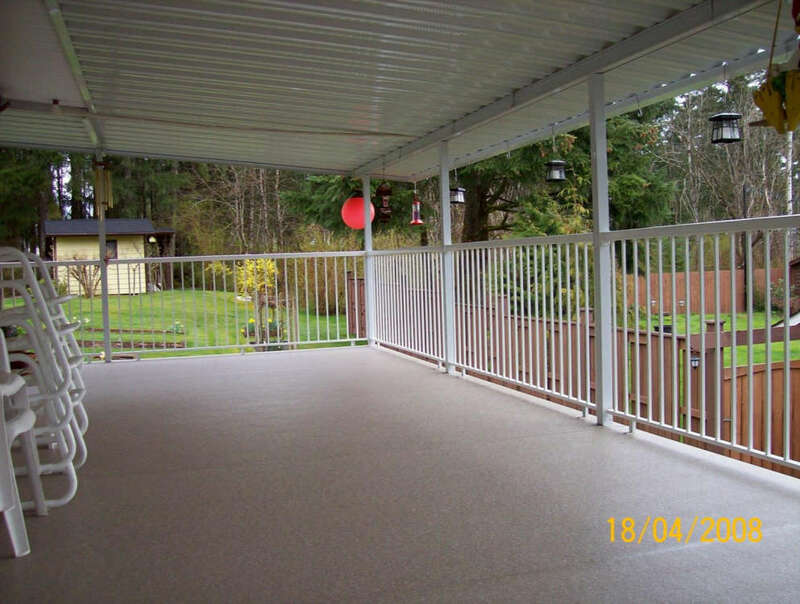 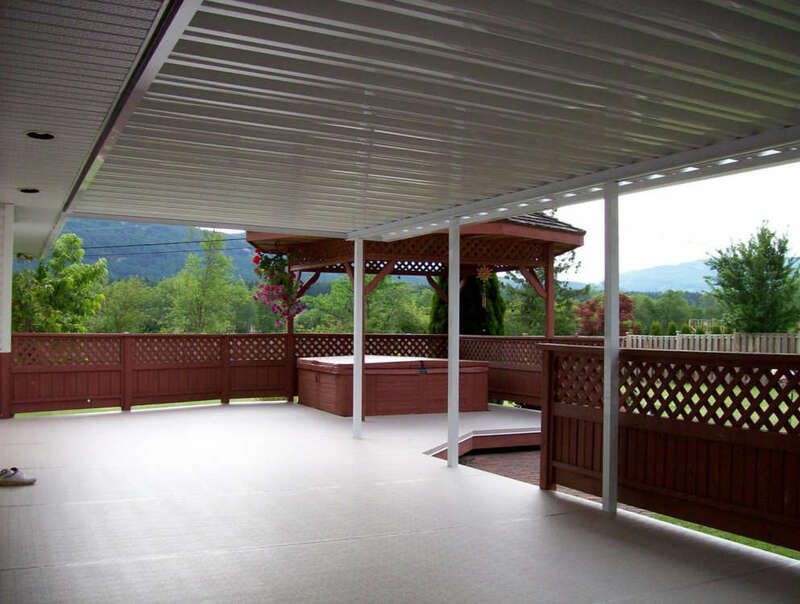 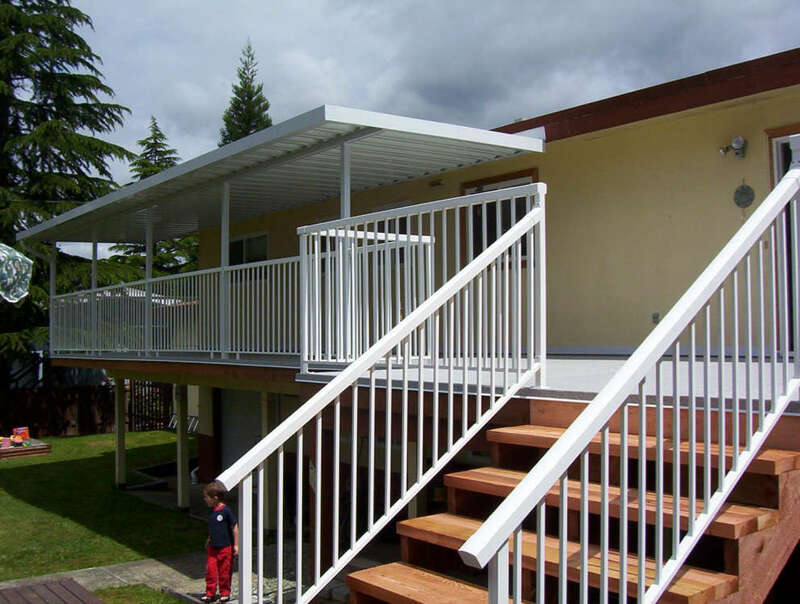 Castle Decks offer a wide variety of applications from patio covers to carports. 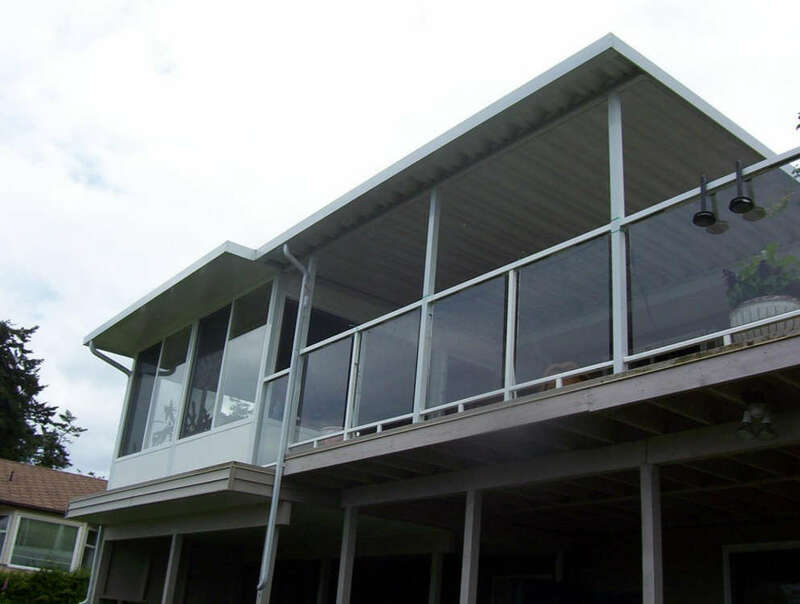 All building materials are finished with top quality sealants and finishes to ensure that they maintain their beauty and durability without chipping or peeling. 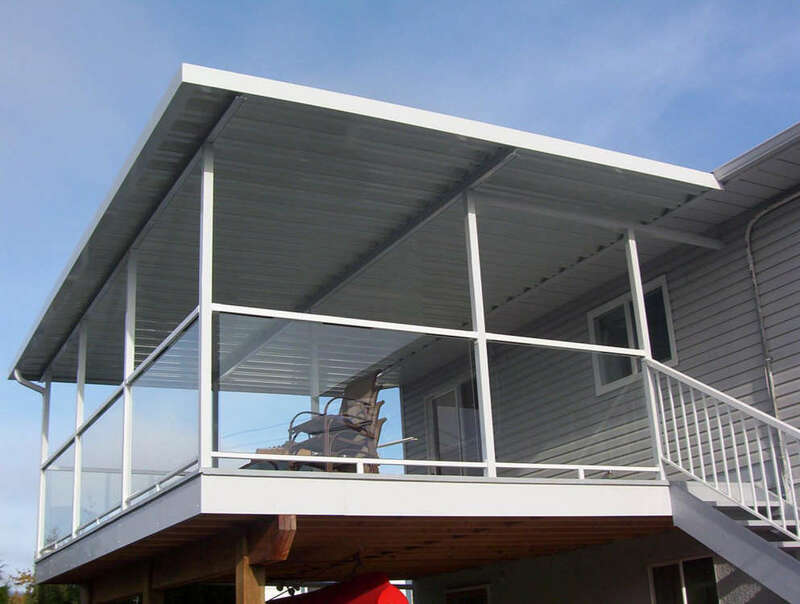 Lighter than steel, aluminum can be shaped to fit any space. 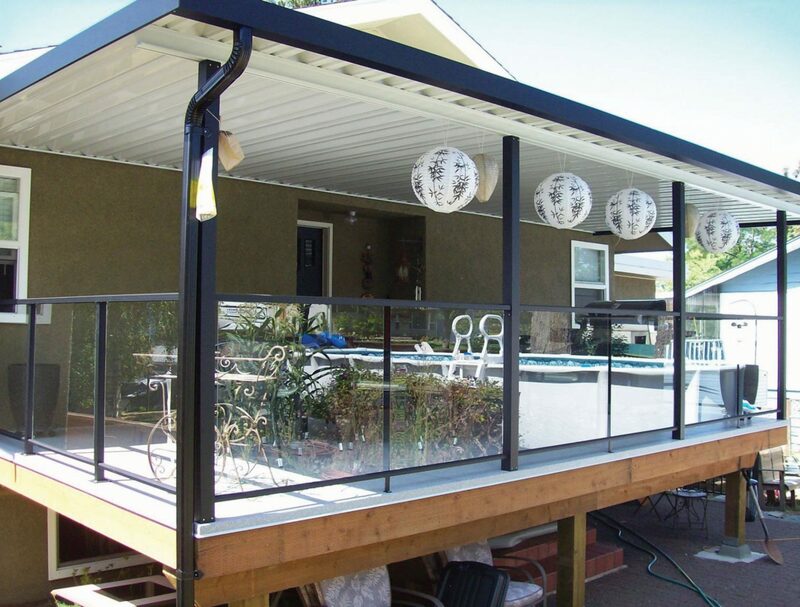 Choose an open design or incorporate tempered glass for long lasting UV protection.